Two small divisions of advanced ran cross-country today at The Fork, and at the end of the day, there were two new leaders. 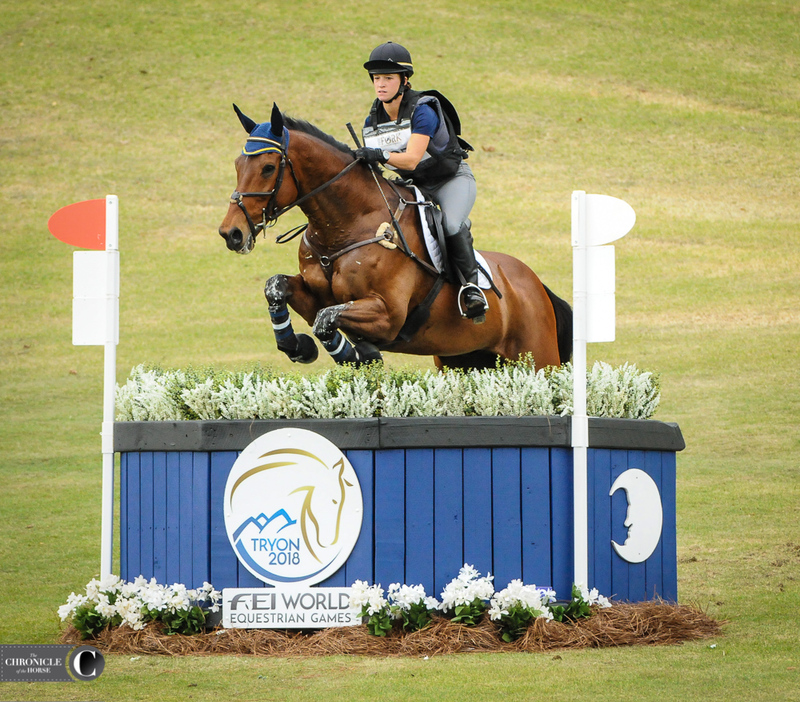 Lauren Kieffer and Team Rebecca LLC’s Veronica are leading the advanced, test B, division, adding 10.8 time penalties on cross-country, while Whitney Mahloch and her own Military Mind are leading the advanced, test A, division after adding 2.4 time penalties. None of the 16 riders across both divisions made the time. Sable Giesler retired Devil Munchkin after two refusals on course, and Boyd Martin and Kyra picked up 20 penalties but continued on to finish. 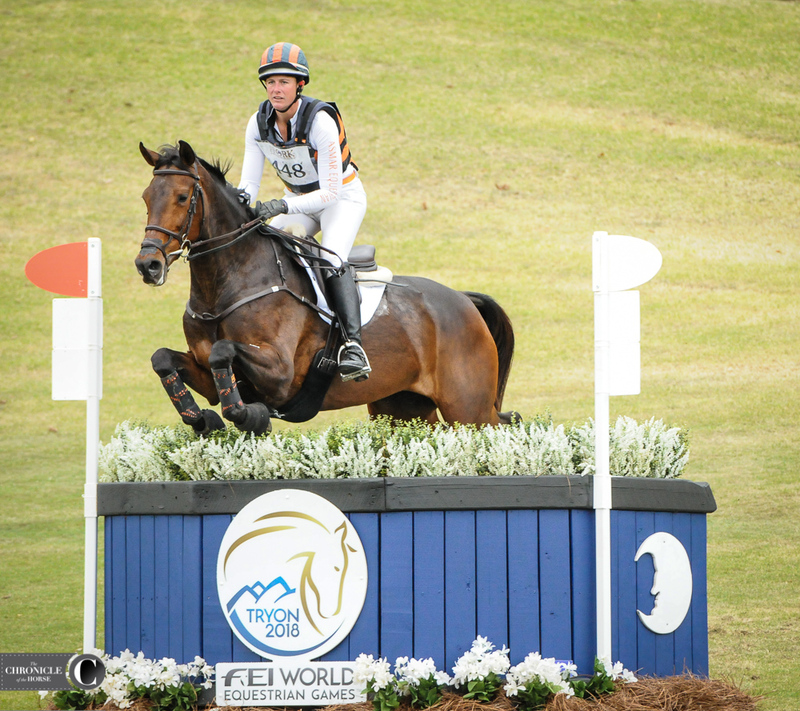 Neither Kieffer nor Mahloch have a rail in hand for show jumping tomorrow. Read on to hear from the leaders and see photos of the division. Whitney Mahloch and Military Mind. Photo by Lindsay Berreth. “It was my first time here, so I was getting to know the track a little bit. 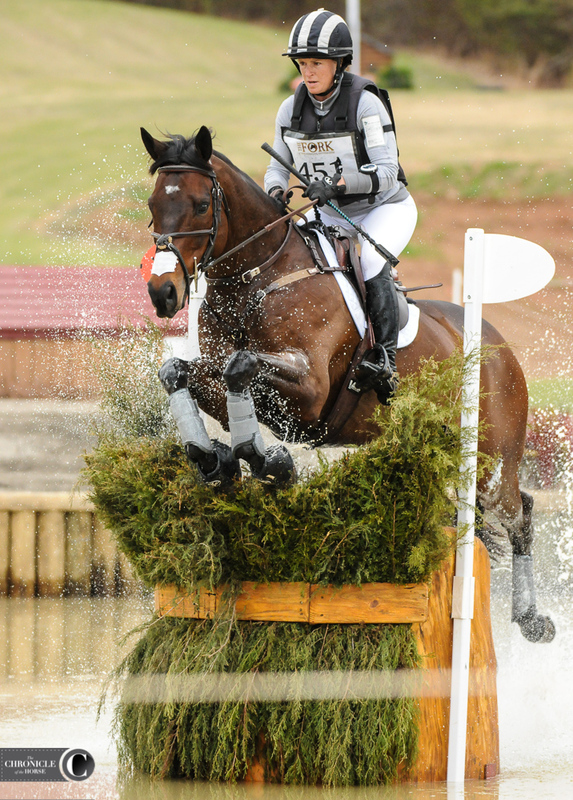 He’s usually really great on cross-country, but he was a little bit more sticky today. I tried to ride forward; I don’t usually worry about the time too much. I usually look at my halfway point, and OK, it’s about where we are. “It was my first time here, so it was all new to me, but both the horses I was on were quite experienced, and they’re heading to Kentucky and Badminton [England], so I wanted to be quick and efficient, but it was important that they stayed rideable and thinking ahead. Dressage leaders Lynn Symansky and Under Suspection added 8.8 time penalties to drop to second place in the advanced, test A, division. Photo by Lindsay Berreth. 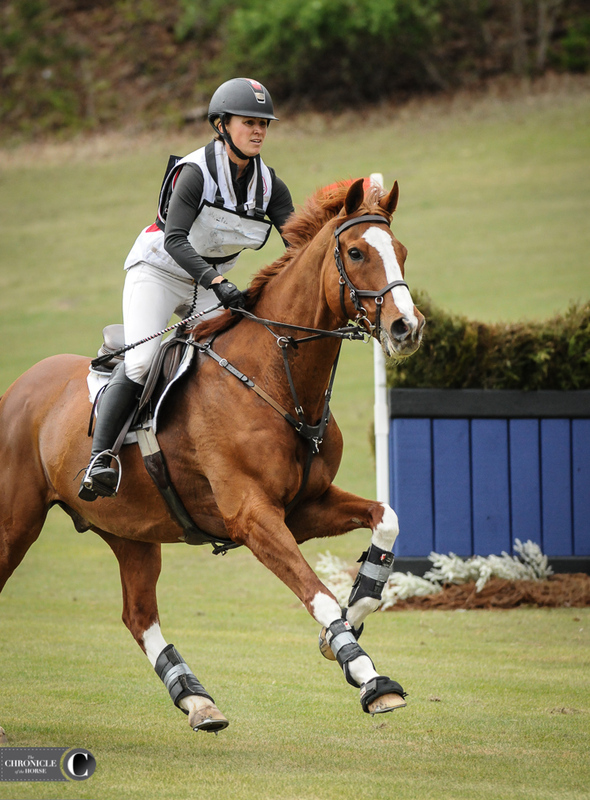 Lynn Symansky and Donner are in third place in the advanced, test A, division. Photo by Lindsay Berreth. 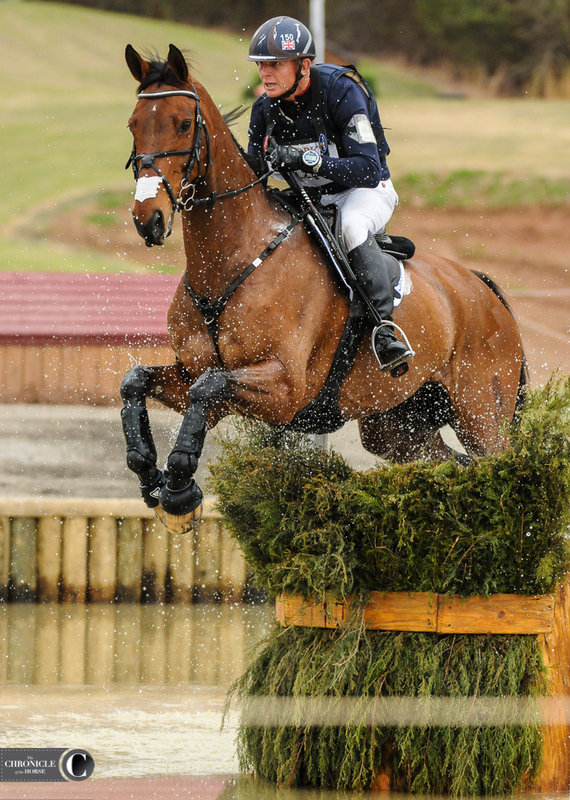 Leslie Law and Voltaire De Tre are in fourth place in the advanced, test A, division. Photo by Lindsay Berreth. 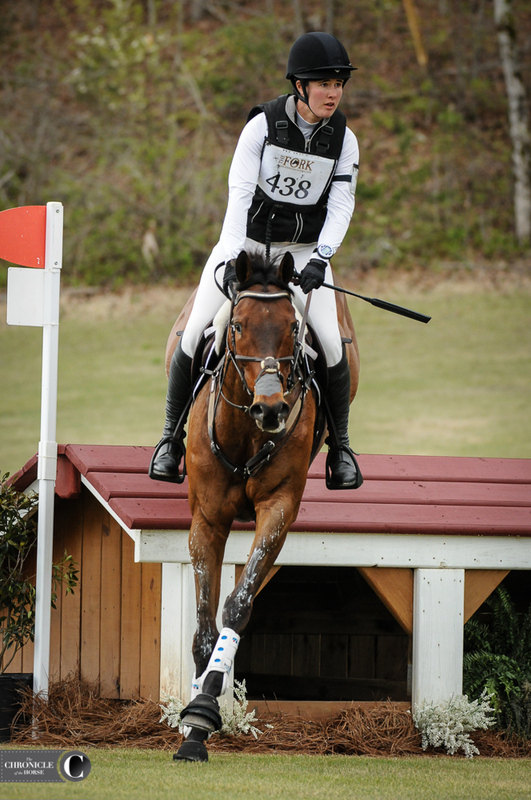 Maya Black and Mowgli finished their first advanced cross-country and are currently in fifth place in the advanced, test A, division. Photo by Lindsay Berreth. 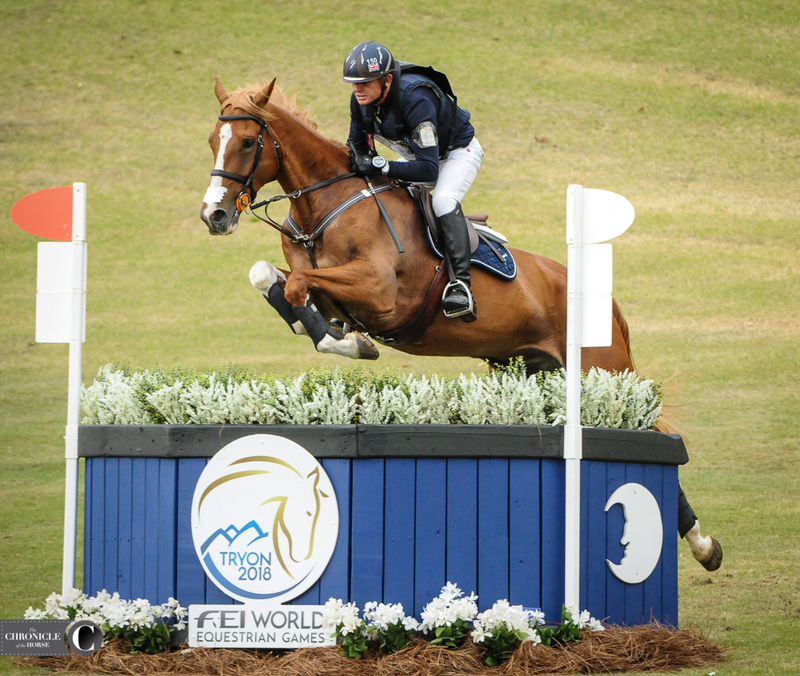 Canada’s Jessica Phoenix and Dr. Sheldon Cooper are in sixth place in the advanced, test A, division. Photo by Lindsay Berreth. 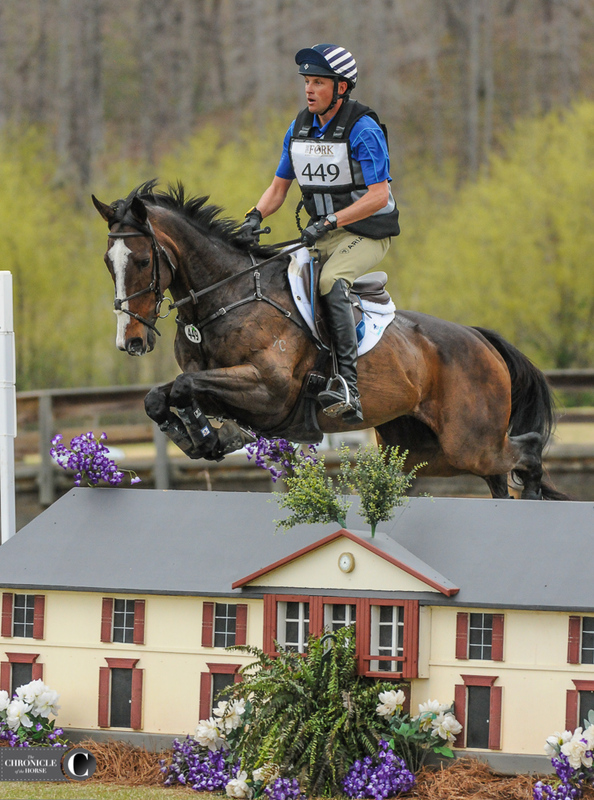 Boyd Martin and Steady Eddie are in second place in the advanced, test B, division. Photo by Lindsay Berreth. 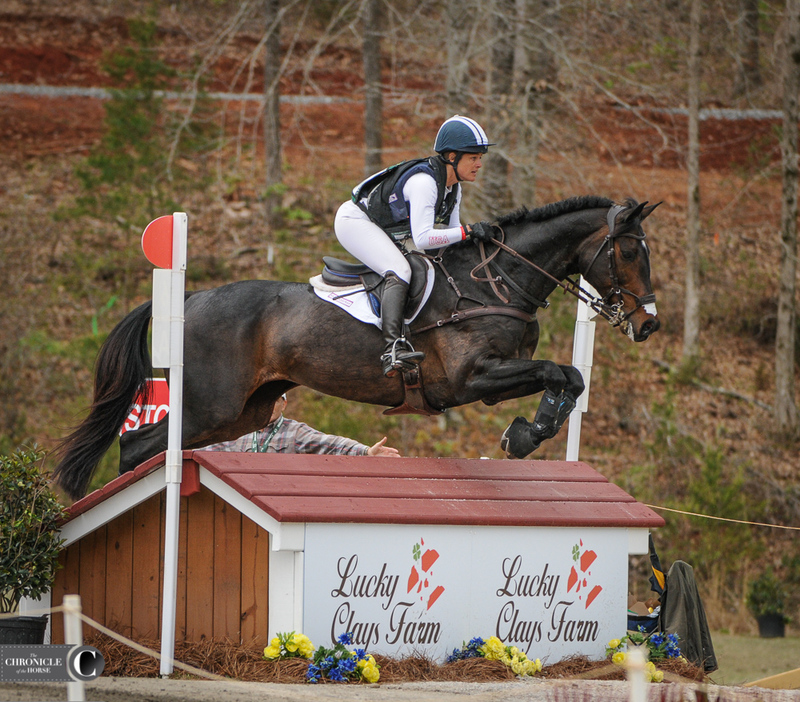 Erin Sylvester and Paddy The Caddy are in third place in the advanced, test B, division. Photo by Lindsay Berreth. 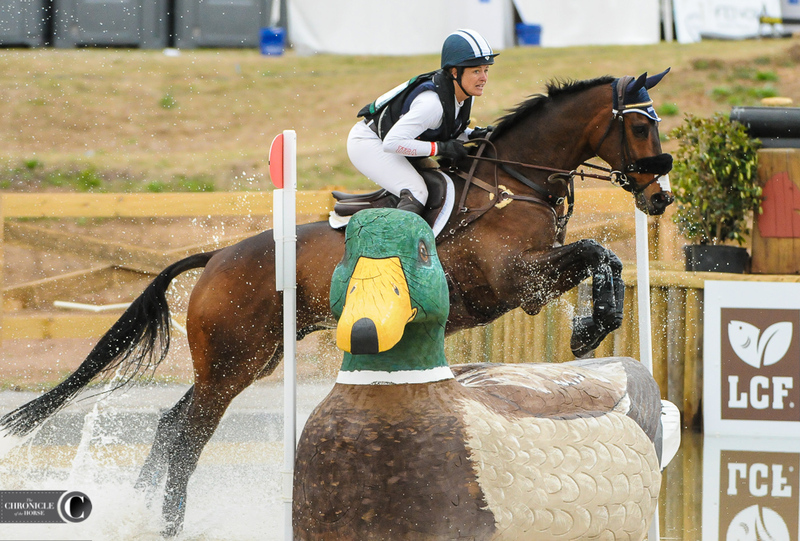 Leslie Law, catch-riding Caroline Martin’s The Apprentice while she recovers from a foot injury, is in fourth place in the advanced, test B, division. Photo by Lindsay Berreth. 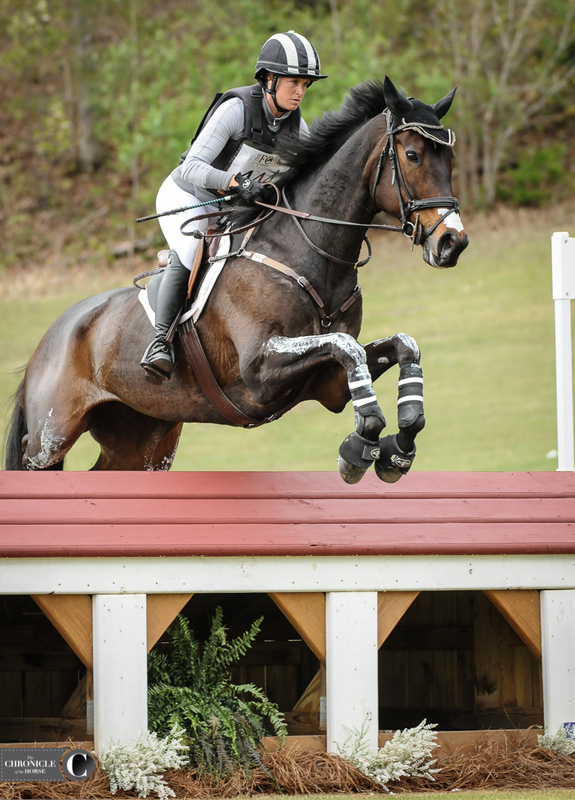 Erin Sylvester and Mettraise are in sixth place in the advanced, test B, division. Photo by Lindsay Berreth.